New York is under a supernatural attack, and the Ghostbusters phone is ringing off the hook, but they’re nowhere to be found! It’s up to you and the rest of the Ghostbusters new B-team to trap the spirits terrorizing the city and put them back into the containment unit before it’s too late! 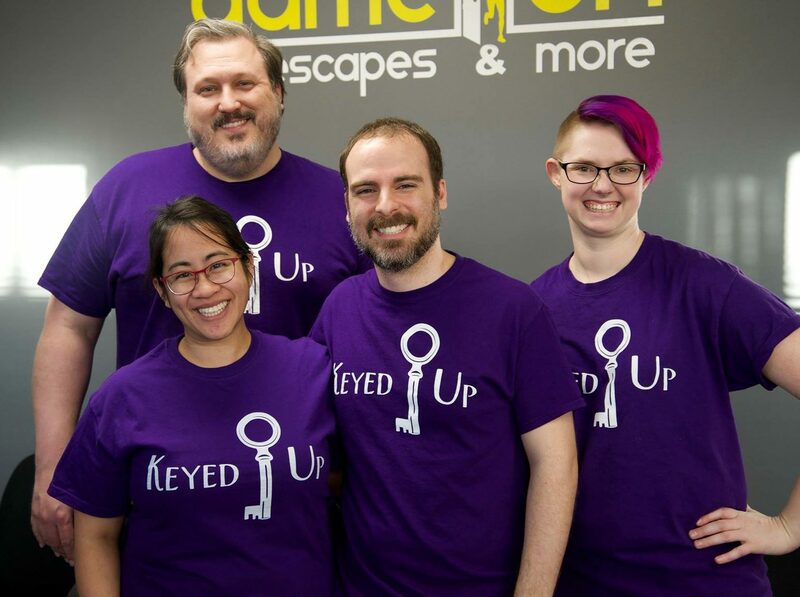 Escape Room Live Georgetown boasts an amazing lobby, with comfortable places to relax while waiting to begin your game, as well as a full bar and space that can be rented for parties. The artwork on the walls is a hilarious series of classic portraits redone with animals, my favorite being this Otter portrait! The rooms themselves are under the lobby, and are housed in an excellently designed area with each exterior matching the theme inside. Ghostbusters being one of my favorite series, we had very high expectations. Ghostbusters did not disappoint. The theming of the room was on point, and the easter eggs peppered throughout were great callbacks to the original movies. The ghosts you catch and ghostbusting tools you interact with are true to the film and will be a great treat for fans. While a lot of Ghostbusters themeing is woven throughout the puzzles, no knowledge of the films is required, which is perfect. Our game master for this room was more than excellent, and provided engaging commentary as we progress through the room. Interactions throughout were unique and engaging, and the non linear nature of most of the room allowed our larger group to all stay busy puzzling. Ghostbusters is also a great challenge, and provides original brainteasers over a wide range of puzzle types. The room was so immersive, that even though we were only in for less than a half hour, we felt as though our experience was much longer! When we were told our (record breaking!) time, we could not believe it. We were left wanting more, but in a good way! One particular puzzle had obviously been experiencing technical difficulties previous to our game, but the fix was handled well and in an immersive manner. Ghostbusters is a fully immersive experience, and delivers an amazing time! Every inch of the room is excellently done, and the puzzling experience is the top for Washington DC. Beginners may want to experience a few rooms before attempting this one, as it was definitely a more difficult challenge, but enthusiasts will love the full package that Ghostbusters delivers! Book your time calming the mass hysteria here!